Elaine Feinstein (nee Cooklin) is a prize-winning poet, novelist, playwright, biographer and translator. She was born in Liverpool , educated in Leicester, and won an Exhibition to read English at Newnham College, Cambridge. She went up in 1949, only a year after the first women were admitted to full membership of the University. After graduating, she read for the Bar in London. She returned to Cambridge with her husband, the molecular biologist Arnold Feinstein, in 1956, and they and their three sons lived in the centre of that city for more than a quarter of century. Writers from across the world including Yevtushenko, Miroslav Holub, Allen Ginsberg and Yehuda Amichai visited them there. Feinstein supervised undergraduates for the English Tripos , lectured at the University of Essex ( 1967-70) and wrote for The Times, The Telegraph, The Guardian, The Sunday Times, the New York Review of Books and other papers. In 1981 she was made a Fellow of the Royal Society of Literature. As a poet, she began to write under the influence of Ezra Pound, William Carlos Williams, the Objectivists ---notably Charles Reznikoff---and Black Mountain poets. In 1959 Charles Olson sent her his famous letter defining breath 'prosody'. Alive to her family origins in the Russian-Jewish daspora, she developed a close affinity with the Russian poets of this and the last century. Her versions of the poems of Marina Tsvetaeva , for which she received three translation awards from the Arts Council were first published in 1971 and remain in print. Her poems have been widely anthologized. Her Collected Poems and Translations (2002) was a Poetry Book Society Special Commendation. In 1990, she received a Cholmondeley Award for Poetry, and was given an Honorary D.Litt from the University of Leicester . She has written fifteen novels, many radio plays and television dramas. Her first novel, The Circle (1970) was long listed for the ‘lost’ Man Booker prize in 2010. Her five biographies include A Captive Lion: the Life of Marina Tsvetaeva (1987) and Pushkin (1998). Ted Hughes: The Life of a Poet (2001) was shortlisted for the biennial Marsh Biography Prize. Her biography of Anna Akhmatova, Anna of all the Russias (2005) has been translated into twelve languages, including Russian. Elaine Feinstein has travelled extensively, not only to read her work at festivals across the world, but to be Writer in Residence for the British Council, first in Singapore, and then in Tromso, Norway. She was a Rockefeller Foundation Fellow at Bellagio in 1998. Her work has been translated into most European languages. She has served as a judge for the Gregory Awards, the Independent Foreign Fiction Award, the Costa Poetry Prize and the Rossica Award for Literature translated from Russian, and in 1995 was chairman of the judges for the T.S. Eliot Prize. You can also read an important interview with Elaine Feinstein which appeared in Poetry Nation Review (Carcanet). The Poetry Trust have uploaded three new podcasts from the 22nd Aldeburgh Poetry Festival. The Poetry Trust website features the Poetry Channel archive, including over forty poetry podcasts. In the latest podcast acclaimed Carcanet poet Elaine Feinstein discusses her writing career with Robert Seatter. 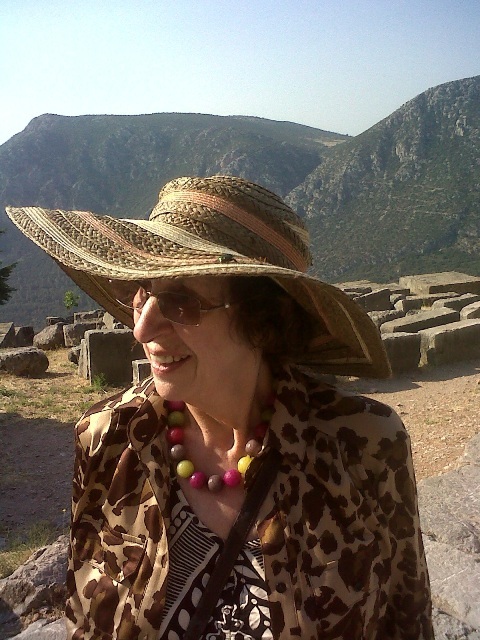 Elaine Feinstein has published numerous translations, novels, biographies and poetry collections. Her latest Carcanet collection, Cities, was published in 2010. Click here to listen to the full interview. Click here to see a complete list of Elaine Feinstein's works. The Russian Jerusalem, Manchester, Carcanet Press. Interview with Elaine Feinstein in The Times May 30 2005. ^ A podcast of her interview with Robert Seatter is available at The Poetry Trust.